If I Fall, If I Die by Michael Christie was a beautifully twisted tale of mystery, a boy growing up in a strange new world, and how mental illness affects those closest to us. Rating: 4/5. *This is book #7/35 for my 2015 book challenge. This was also book #6/6 for the ‘New, New, and New!’ group challenge. 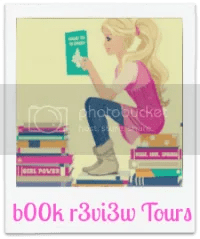 You can take a look at the reading challenge here. Will has never been to the outside, at least not since he can remember. And he has certainly never gotten to know anyone other than his mother, a fiercely loving yet wildly eccentric agoraphobe who drowns in panic at the thought of opening the front door. Their little world comprises only the rooms in their home, each named for various exotic locales and filled with Will’s art projects. Soon the confines of his world close in on Will. Despite his mother’s protestations, Will ventures outside clad in a protective helmet and braces himself for danger. He eventually meets and befriends Jonah, a quiet boy who introduces Will to skateboarding. Will welcomes his new world with enthusiasm, his fears fading and his body hardening with each new bump, scrape, and fall. But life quickly gets complicated. When a local boy goes missing, Will and Jonah want to uncover what happened. They embark on an extraordinary adventure that pulls Will far from the confines of his closed-off world and into the throes of early adulthood and the dangers that everyday life offers. 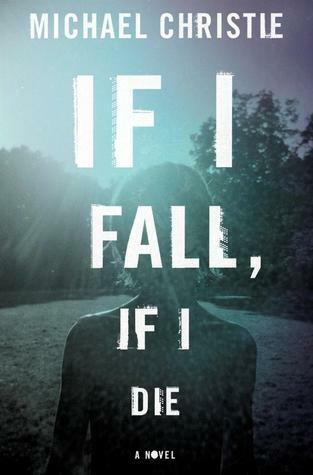 If I Fall, if I Die is a remarkable debut full of dazzling prose, unforgettable characters, and a poignant and heartfelt depiction of coming of age. I’ve been going back and forth for a while about whether or not this deserves a 3.5 or a 4 star review. The story was both beautiful and frustrating. It was interesting and unique, though, so I am going to settle on the 4 star for good. The story was a bit all over the place. I’m not sure if that was an error on the author’s behalf, or if it was a purposeful decision made because the main character is still a young boy that is walking into this strange and twisted world that makes no sense to him. I enjoyed the mother’s bits the most, and even the short Titus passage. I was drawn in most by how these characters got to where they were in life, and how a series of unfortunate events trickled down to an innocent boy. I felt both anger and sympathy toward Will’s family, sometimes simultaneously, which I feel is precisely how Will also felt toward his family. I also enjoyed that the story took on issues like racism and mental illness and did such a justice for these two intense topics. The book did lose me during the skateboarding moments. I get that the author is a professional skateboarder so he probably wanted to put in something from his past and give it to the character so that he could use it as a way to develop and make friends and stuff, but I felt like there was too much attention given to that part of Will’s life at certain times and I don’t believe it pushed the plot along. Whenever it lost me, I had no motivation to continue reading, and so I would put it down and go long periods of time before reading it again. Overall though, I loved the character development for each and every character in the book. I think Michael did an amazing job creating Will. He seemed so real from start to finish, and I loved watching him lose a bit of his naivety as time went on. There was also quite a good bit of mystery, and I found myself wondering about what was going to happen and just what exactly Marcus was up to all this time. There were a few predictable moments, but not so much that I felt like I had the entire storyline pegged down. I loved that everything came to a nice little conclusion. I can appreciate a good cliffhanger, but a huge pet peeve for me while reading is when a standalone book ends with more questions than the entire story held. So I enjoyed being able to see the story come to an end, while also knowing that the world held so many more opportunities after the final page. PLEASE NOTE: I received a free copy of this book from Blogging For Books in exchange for an honest review. All opinions held within this review are my own thoughts and feelings and do not reflect upon anyone else.